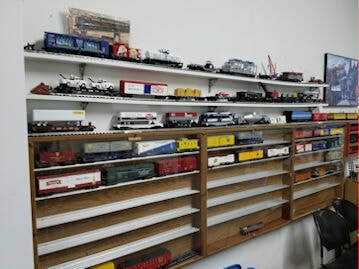 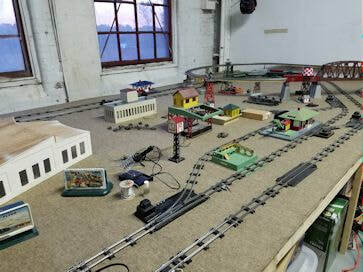 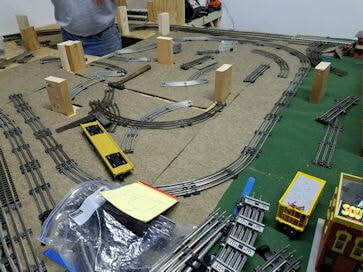 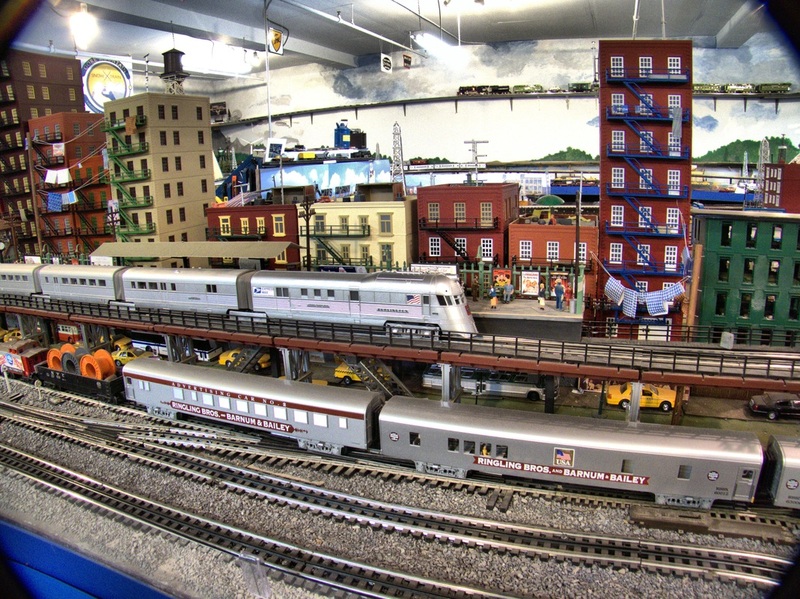 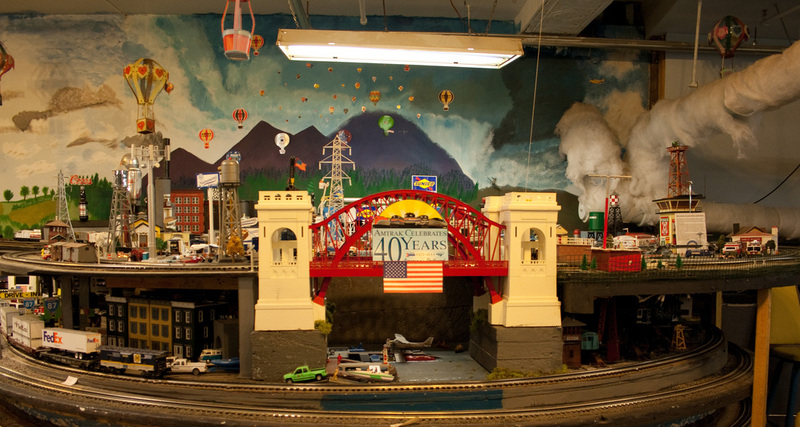 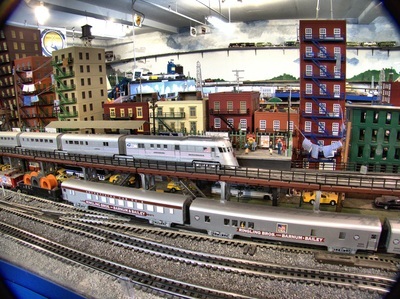 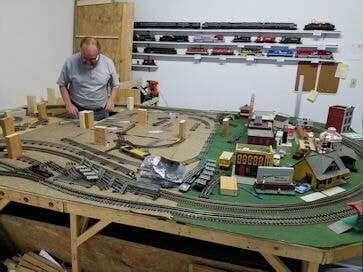 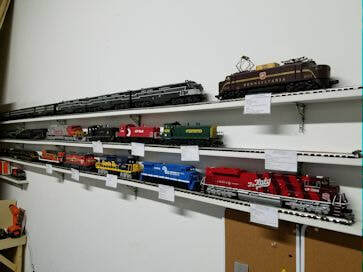 Much progress has been made recently on the club's new “O” gauge layout at the Epic Ventures building in South Glens Falls with the installment of 2 mainlines and subway loops. 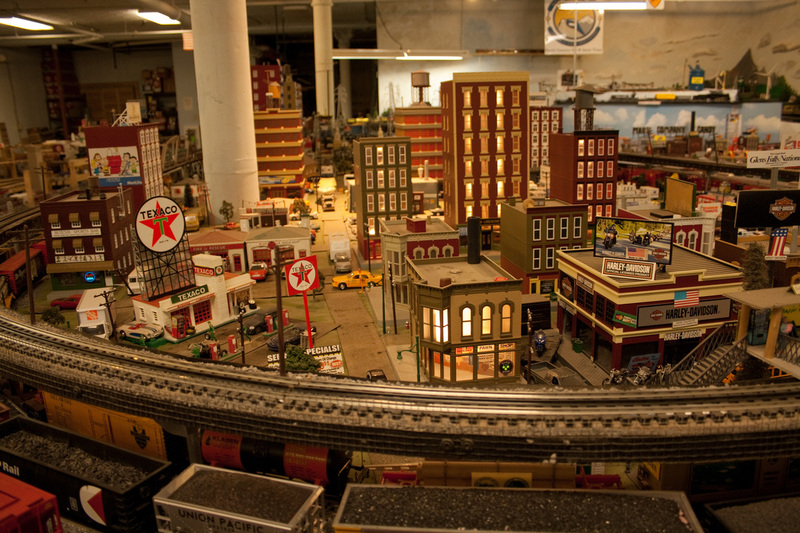 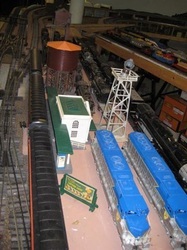 Many accessories for visitors to operate have been added, including a gantry crane, a subway, and a lumber mill. 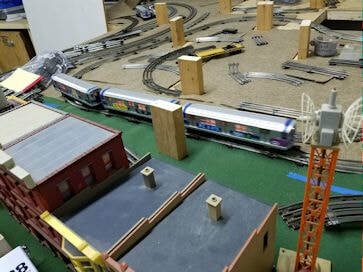 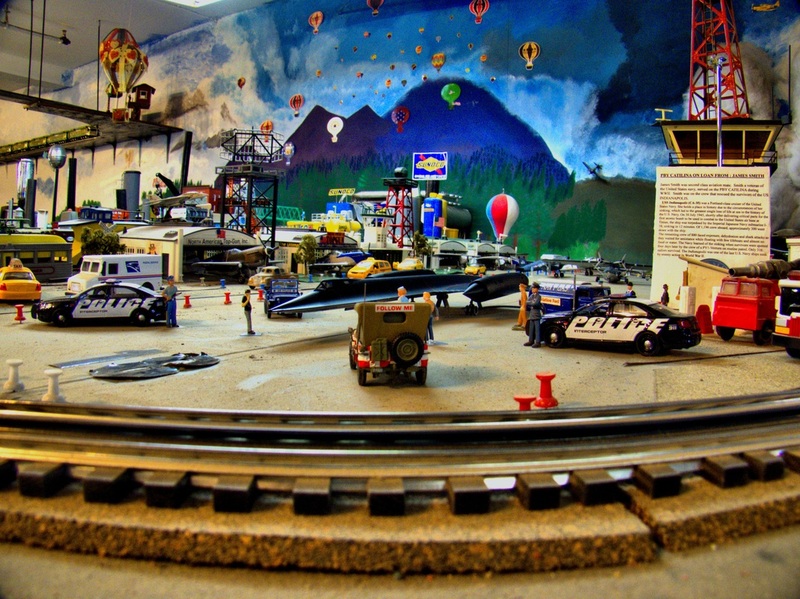 The layout is now setup with MTH DCS Command Control; this allows train operations with a handheld remote. 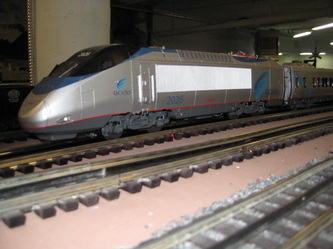 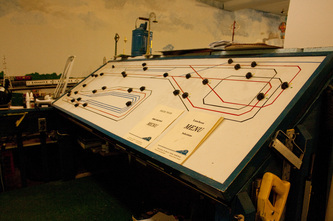 We also have a fully operational “S” gauge (American Flyer) too! 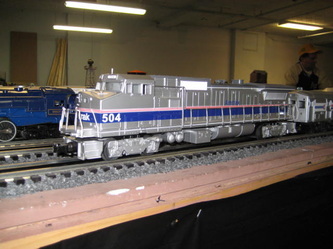 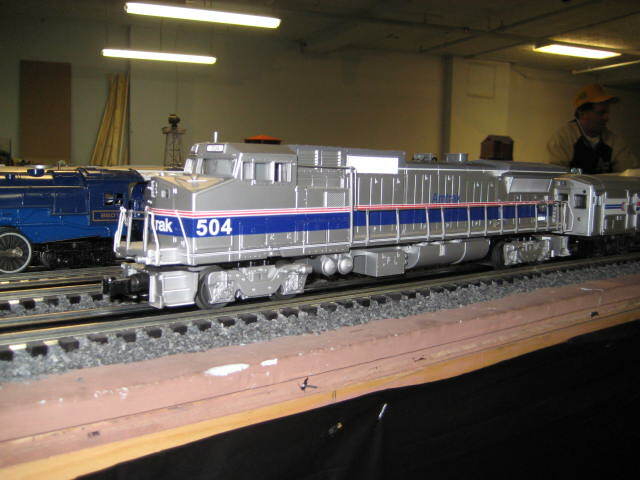 We've recently acquired donated trains, both vintage and modern. Our Former Layout at 190 Glen St. 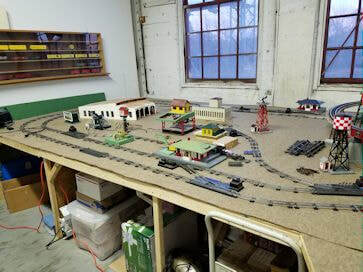 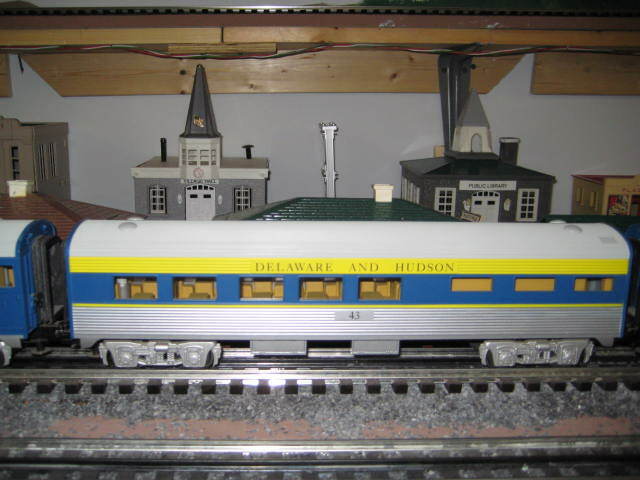 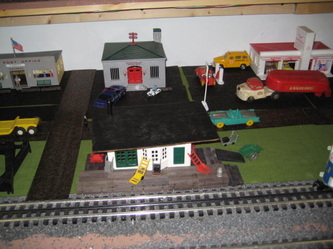 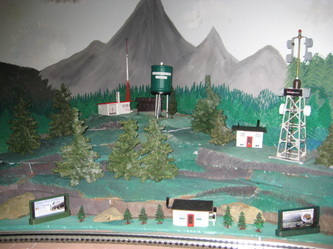 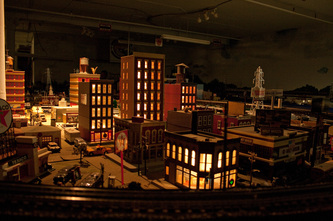 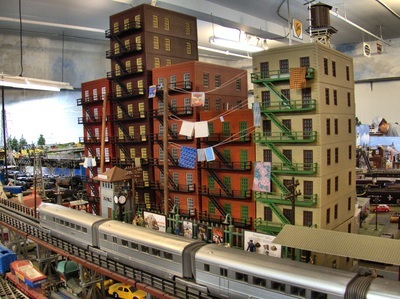 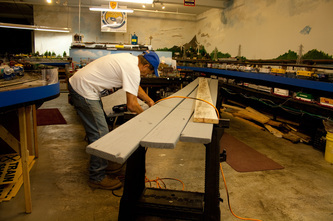 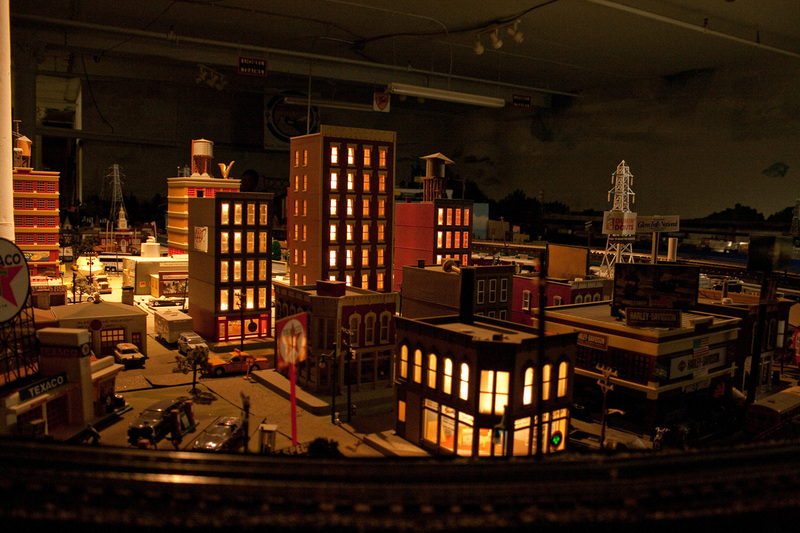 The "O" Gauge layout at our former home beneath 190 Glen st. Members were in the process of adding scenery in some of the background areas under the able direction of Don Erlenbusch. 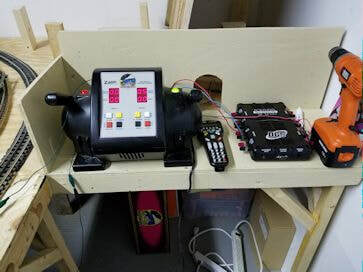 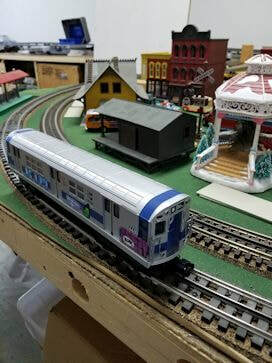 The trolley line running from the center of one loop to the other had been completed as well as work on the upgrade of the electrical control system and the permanent control panel near the center of the layout. 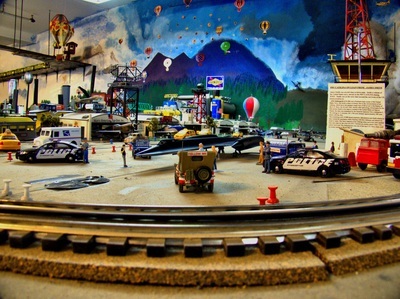 The town site was finished and the industrial area had a brewery, oil refinery, transfer station for containers, and an airport with a balloon ride! 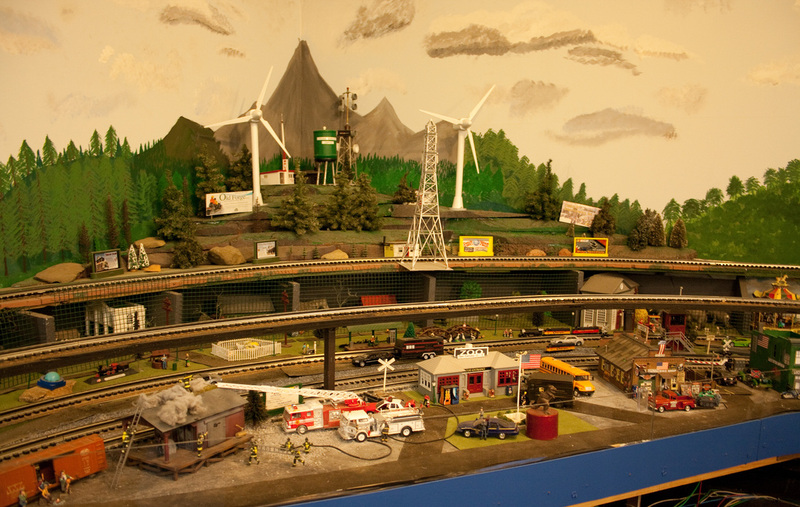 There were many exciting detailed scenes on the layout.